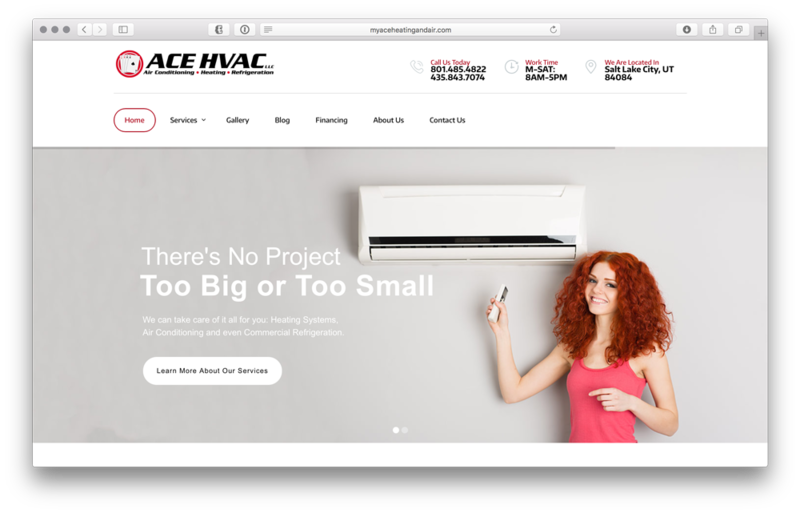 Built new CMS website for Ace HVAC LLC. Click the image above to view the current website. Created a new and improved database website experience for Ace Heating & Air based in Salt Lake City, Utah. Includes CMS access to be able to make backend changes to the site, social media integration, and is fully responsive across all device platforms. Launched in February 2017.